Another important fragment of your Online Store built with AbanteCart is the ability to accept different type of payments. This is easily achievable thanks to the vast amount of payment extensions you are provided with. Some of those are included in the default installation package of AbanteCart and others need to be downloaded additionally. 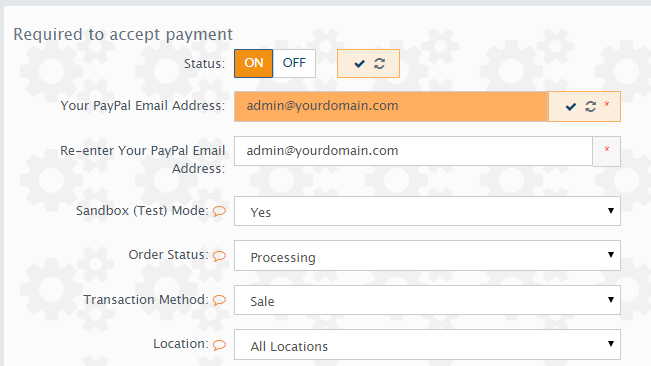 In the next few lines of this tutorial we will show you how to enable and configure some of the commonly used payment methods. 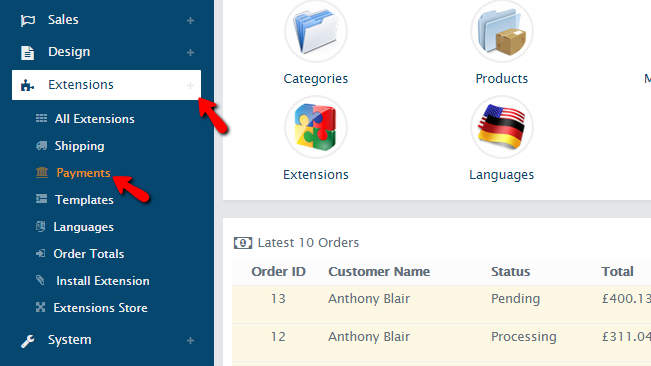 Every payment method in AbanteCart is presented as Extension and in order to access these you will need to login into the admin area of your installation. Then you should navigate to Extensions>Payments. There you will see a complete list of all the supported by default extensions. For the purpose of this tutorial we will install the Default PayPal Standard extension which will allow you to accept PayPal payments on your account. 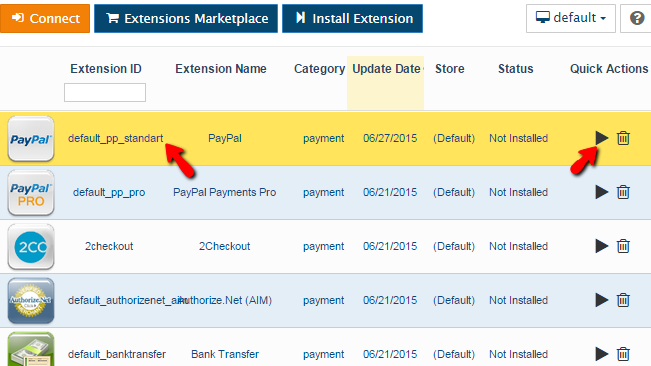 Once you access the Extensions page you will find the PayPal Standard extension at the top of the list. Then you will need to click on the small “play” like icon under the Quick Actions column of the table view. This action will install the extension and will lead you to the configuration page for the same where you need to configure few additional options separated in two groups. The second group of settings is called Optional Settings and there you will be able to mostly customize the checkout page. Once you are ready with the configuration please use the Save button located at the bottom of the page so you can save and activate the payment method. All other payment methods have similar configuration and you should be able to easily configure them. 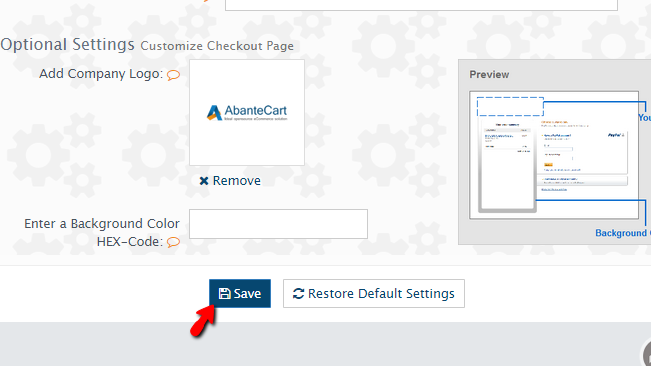 In case the method you would like to use is not presented in the list of payment extensions you can always search for the same under the official AbanteCart Extensions store. Congratulations! You can now setup every payment method you might need.